Marvel's upcoming Black Panther film is one of the most anticipated films hitting theaters in 2018. 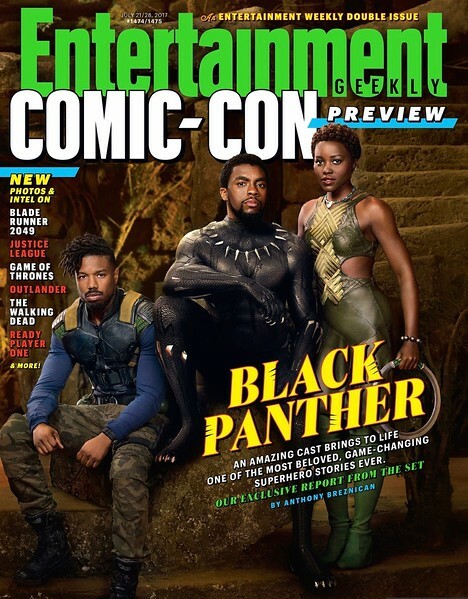 The stellar cast (Chadwick Boseman, Lupita N'yongo and Michael B. Jordan) lands on the new cover of Entertainment Weekly. This Comic-Con issue is definitely going to be a best seller.